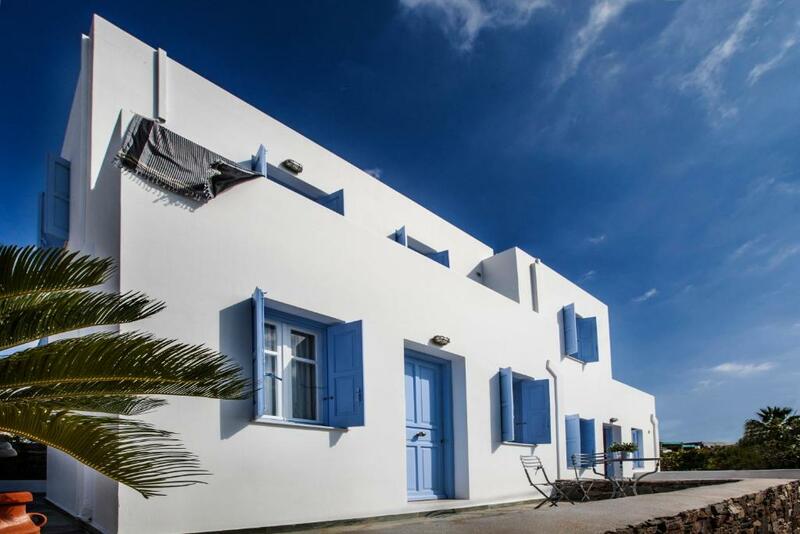 Perfect location- it is a short stroll to both port/town and gorgeous beach. The apartments are clean and comfortable. Ilias, the owner made us feel very welcome. Upon leaving Serifo and already on the ferry, my name was called over the PA and to my shock, jewellery that I had forgotten was handed over to me by the staff. Ilias had gone out of his way to rush to the ferry in time, to ensure that my jewellery was returned! What more can I say? Thank you so much for a wonderful stay. 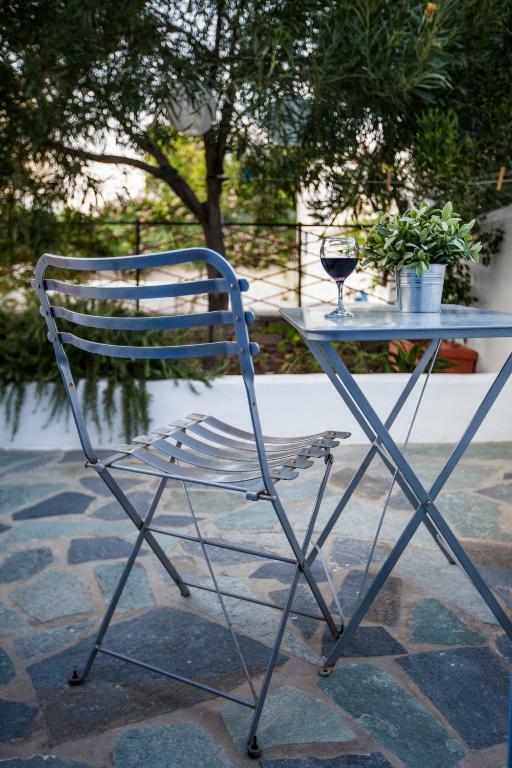 Excellent accommodation, great host, ideal location in Serifos. 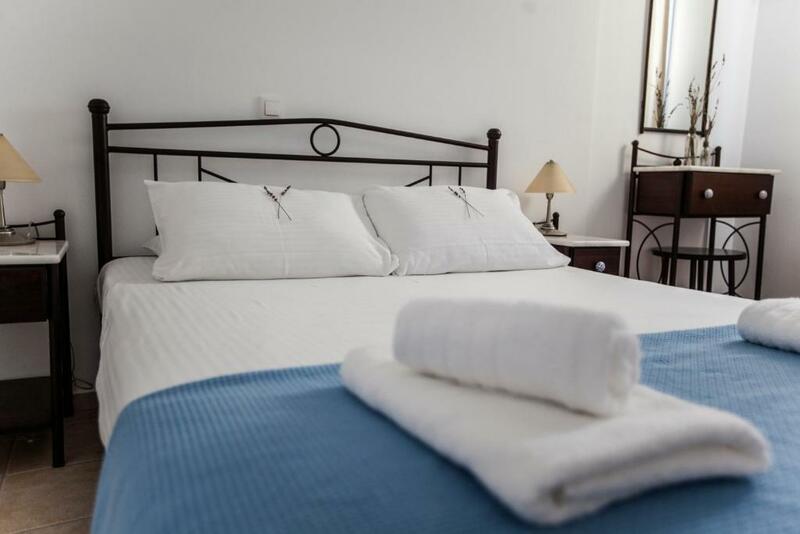 Big rooms, very clean, 2 minutes walk to a magnificent beach, 5 min walk to bars and restaurants. Owner is very friendly and gives the best tips about the island. We liked this place. Ilias, my host, picked me up from the port and went through everything about the apartment and the island. Great host, very clean and comfortable, close to town centre and short walk to the beach. We had no view from our apartment but not so much sun meant it was cooler. Our stay at Astarti was just exceptional! Our host Ilias, collected us from the port and showed us all the necessarydetails regarding the property and surrounding areas. Restaurants close by as well as beaches. The apartment was ideal as it had sea, and inland vista. Our balcony was perfect to sit and enjoy the sea view. 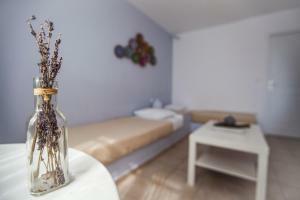 The bed and bath facilities were excellent room cleaned daily and hot water available at any time. Ilias was the perfect host as we had issues with the weather and stayed another two days. Many thanks Ilias for great customer service! Clean and very well presented. Quiet location, nice attention to detail. Lovely place and location, very friendly host. Everything was great! The place is in a perfect position, few steps from the village and from a splendid beach. 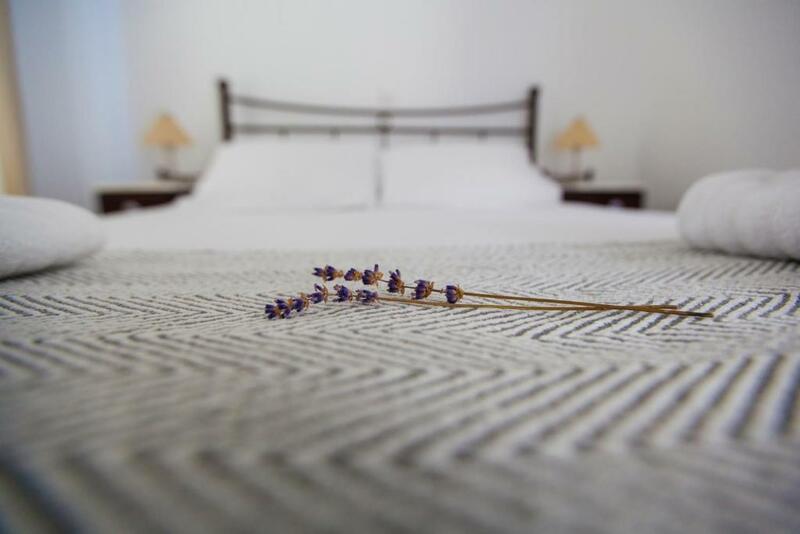 It's the perfect place to stay: the apartments have all the space you need, they are equipped with a small kitchen and decorated in the traditional Cycladic greek style. Amazing welcome and goodbye from the owner who is always ready to give suggestions about the best places on the island. I couldn't ask any better! You have air conditioning, but if you don't like it (not really needed) you can still use the provided fan. Also there was a smaller room to store your bags. I really enjoyed staying there. Excellent location - very close to the port and a short walk to Livadakia beach. The bottle of wine in the fridge was a pleasant surprise. Our apartment was cleaned every day which was a nice touch. The kitchenette was well equipped. 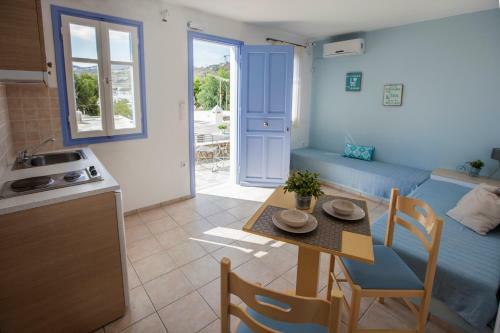 The owner Ilias was very hospitable and charming and we were able to use the apartment after the usual check out time as the apartment was not booked the following day, which was very much appreciated as we were catching a ferry in the evening. Lock in a great price for Astarti Apartments – rated 9.4 by recent guests! Just 350 feet from the beach of Livadakia, in Serifos island, the whitewashed Astarti Apartments offers Cycladic-style accommodations with kitchenette and air conditioning. Free on-site parking is provided. 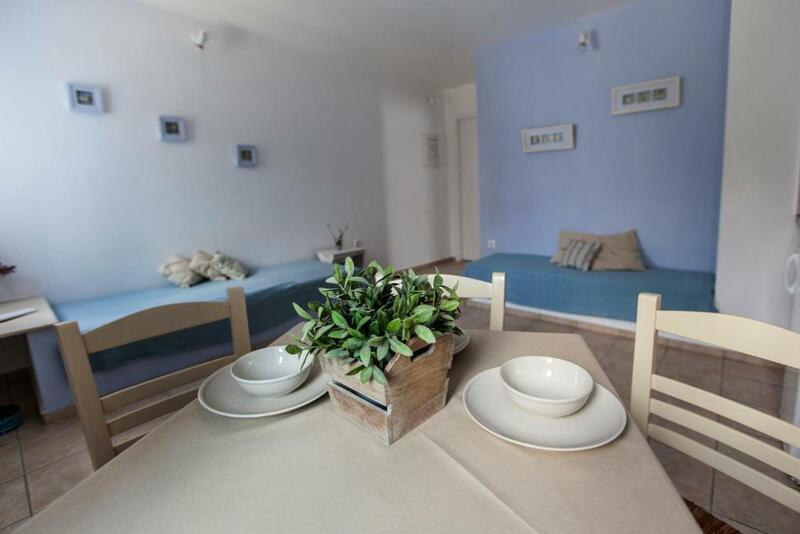 Apartments at Astarti are spacious and feature traditional elements, such as built-in sofas and iron beds. Each is equipped with a TV, mini fridge and a safety box. They all have a balcony enjoying views of the charming surroundings. Some units also offer free Wi-Fi access. The port of Serifos is 1,650 feet away. Within walking distance, guests can find many seaside cafes and restaurants. The scenic main town of the island is at 3.1 mi. When would you like to stay at Astarti Apartments? This apartment features air conditioning, sofa and private entrance. Dear friends for me, as well as I imagine for most people, vacations are precious. They interrupt the daily routine and are turned into an experience made up of photos, videos, posts and more importantly: they become an experience of value that makes you smile. Vacations, therefore, should interrupt everything but one thing: the feeling that one is at home. That thing making your accommodation more than a hotel, rented rooms or guest house. It makes it a home. For my part, I prefer feeling that I have invited guest rather than customers. So you are cordially invited to Astarti Homy Apartments the vocation of which is to become your vacation home and I offer you my best wishes for a pleasant stay. 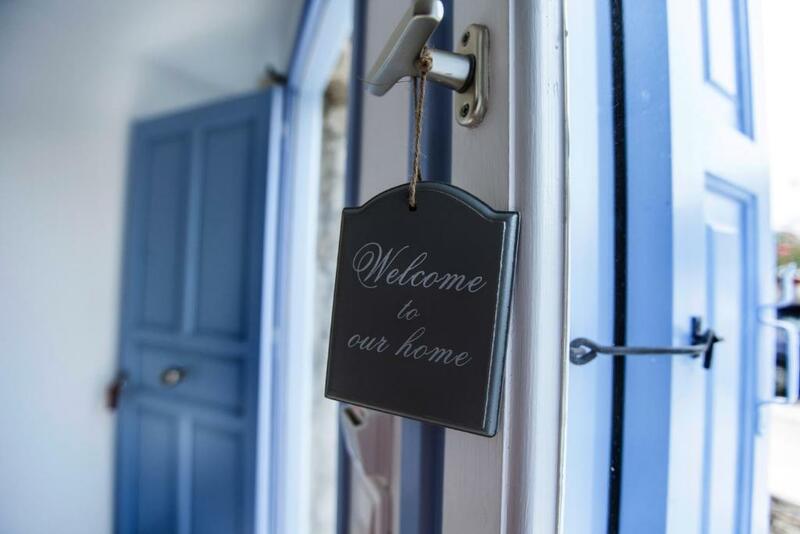 House Rules Astarti Apartments takes special requests – add in the next step! Astarti Apartments accepts these cards and reserves the right to temporarily hold an amount prior to arrival. Please inform Astarti Apartments of your expected arrival time in advance. You can use the Special Requests box when booking, or contact the property directly using the contact details in your confirmation. Could not find fault with anything! Safe not secured in wardrobe. Kitchenette very short of work surface. Would have liked larger coffee/tea mugs. Nice location, clean room, friendly personnel. The balcony was a bit cramped but wasn't a major problem. Also the wifi was out of action for 2 evenings during our stay but I understand that this was an island issue rather than a problem with the accommodation. Perfect very nice clean and spacious I really liked the appartment. Very good location near everything. The beach is very nice also.Ilias came to pick me at the port and gave information to visit the island. Wonderfully bright and fresh apartment. Very clean and comfortable with a sunny balcony and modern facilities. Host was very friendly and most helpful with great ideas for hiking and places to visit. Cleaner made sure rooms stayed immaculate. Location near local shops, restaurants and within a few minutes of two beaches, the one that can be seen from accommodation being particularly pretty, peaceful and lovely sand. Travelled by myself and felt very safe both on island and in accommodation. Blue and white styling was most attractive and the whole apartment felt like it was brand new, so well looked after. Loved my stay here and would highly recommend! Can’t wait to go back. Excellent accommodation, very friendly and helpful owners. Airconditioning was a bit smelly. Not all rooms have sea view. Ask for a room on the first floor! Great location, close to the beach and to the centre of town. Spotless clean.